Trinity play is not 'anti-police' By Curt Columbus, the Richard L. Bready Artistic Director of Trinity Repertory Company. 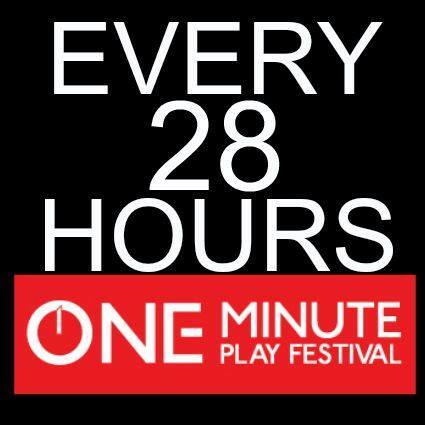 Last Monday night, Trinity Rep produced the world-premiere production of "Every 28 Hours," a series of one-minute plays written by actors and playwrights from around the country in response to the rash of police shootings of unarmed black men over the past year. 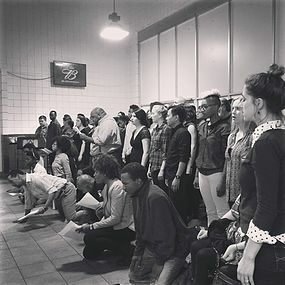 Produced with the help of The One-Minute Play Festival and the Oregon Shakespeare Festival, the plays were written by men and women of all races and backgrounds following a week-long residency in Ferguson, Mo., where the shooting death of Michael Brown by a police officer ignited a storm of protest and anger, as well as a national conversation about race that has continued to this day. "Every 28 Hours" was written in dialogue with members of the Ferguson community, including the Ferguson police, and is a reflection of this country's current civil rights movement, as well as the events that have inspired the Black Lives Matter movement. The night was a beautiful, profoundly moving success, and perhaps one of the finest nights of theater we have staged. Spearheaded by Joe Wilson Jr., one of Trinity Rep's acting company members who took part in the Ferguson residency and wrote one of the plays, the production featured more than 80 local actors of all ages and races who volunteered their time and talent performing to a sold-out house. The one-minute plays themselves were by turn beautiful and ugly, angry and optimistic, funny and tragic, mournful and joyous. Without a particular political viewpoint, they managed to reflect a country still grappling with race — celebrating the past victories of the civil rights movement while also pointing ahead to the work that still needs to be done. However, there are some (who didn't attend the show but rather heard about it through a Providence Journal article) who are upset that Trinity Rep decided to produce "Every 28 Hours." We have even had a few subscribers and donors revoke their support of the theater. Many of the detractors indicated they feel that by producing this play, we are anti-police. That could not be further from the truth. The Providence Police Department has helped Trinity Rep in innumerable ways for decades. Just this past summer, the Providence police sent a few officers over to the theater to make sure our young students were dismissed safely at the end of the day. They are a vital part of this community, and we honor and respect their service and professionalism. Theater is, by its very nature, a political act. It can and should be provocative as well as entertaining. It also serves a critical role by bringing a community together to reflect on the issues of our time. "Every 28 Hours" captures history in the making, as our country grapples with a changing racial demographic; with police officer training and the role of guns in our society; and with the mass incarceration of a large segment of our society. No matter where you stand, there is no debating that these are important issues to ponder and discuss. What better place for our community to come together peacefully to reflect on these topics than at the state theater of Rhode Island?